SpaceX SES-8 Launch. Brevard Times photo. 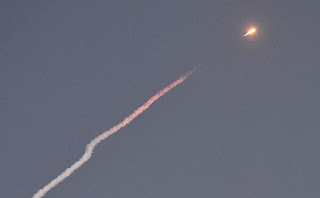 CAPE CANAVERAL, Florida – SpaceX successfully completed its first geostationary transfer mission, delivering the SES-8 satellite to its targeted 295 x 80,000 km orbit. Falcon 9 executed a picture-perfect flight, meeting 100% of mission objectives, the aerospace company said in a release. 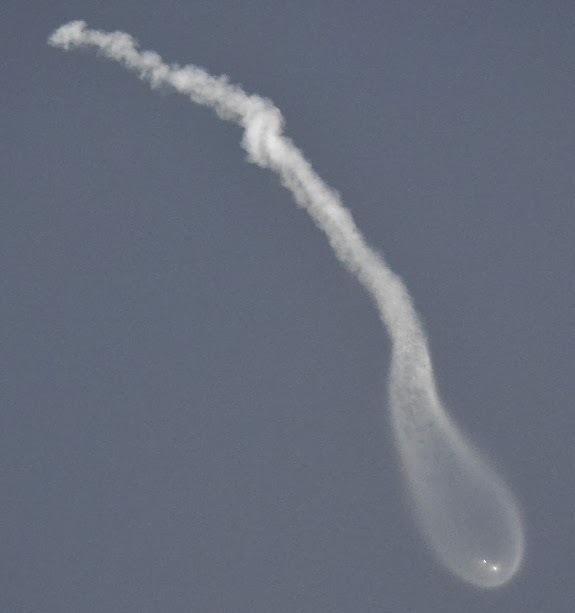 First Stage Separation. Brevard Times photo. Falcon 9 lifted off from Cape Canaveral Air Force Station's Space Launch Complex 40 (SLC-40) at 5:41 PM Eastern Time. Approximately 185 seconds into flight, Falcon 9’s second stage’s single Merlin vacuum engine ignited to begin a five minute, 20 second burn that delivered the SES-8 satellite into its parking orbit. Eighteen minutes after injection into the parking orbit, the second stage engine relit for just over one minute to carry the SES-8 satellite to its final geostationary transfer orbit. The restart of the Falcon 9 second stage is a requirement for all geostationary transfer missions. This mission marked SpaceX’s first commercial launch from its Brevard County, Florida launch pad and the first commercial flight from the Cape Canaveral Air Force Station in over four years. SpaceX has nearly 50 launches on manifest, of which over 60% are for commercial customers.